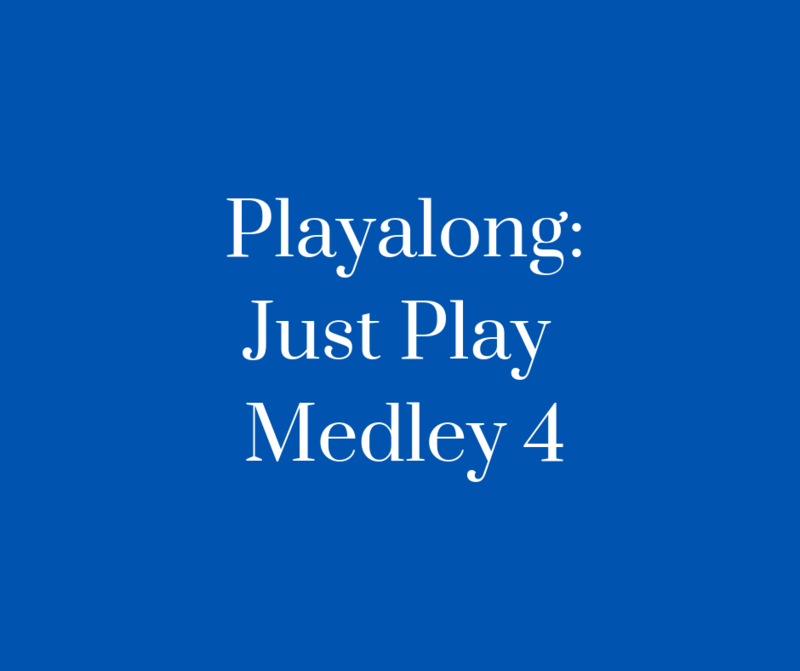 Playalong: Medley 4 features songs by Train (Hey Soul Sister), Black Eyed Peas (Where is the Love?) 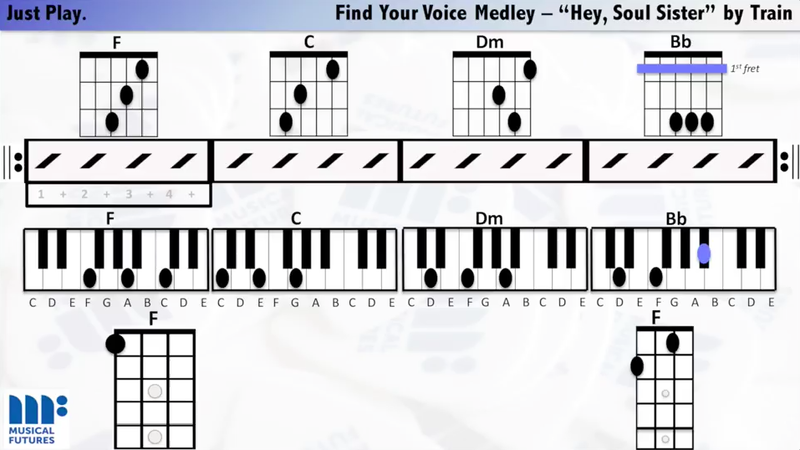 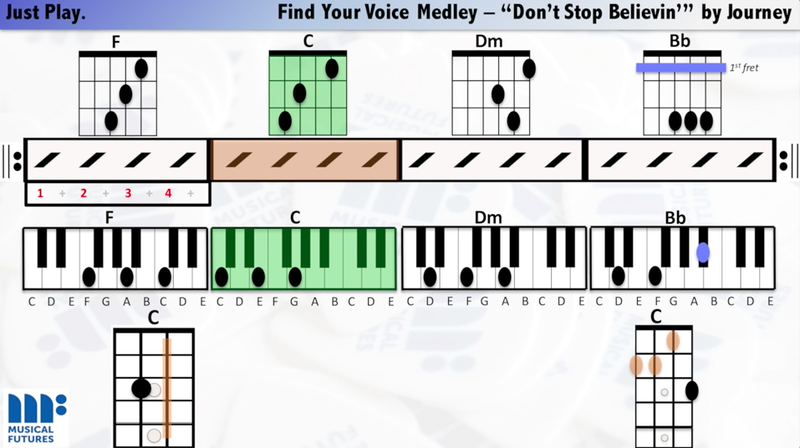 Jason Mraz (I’m Yours) and Journey (Don’t Stop Believin’) and is designed to complement our Find Your Voice approach using the four-chord pattern I, V, VI, IV (F, C, Dm, Bb). 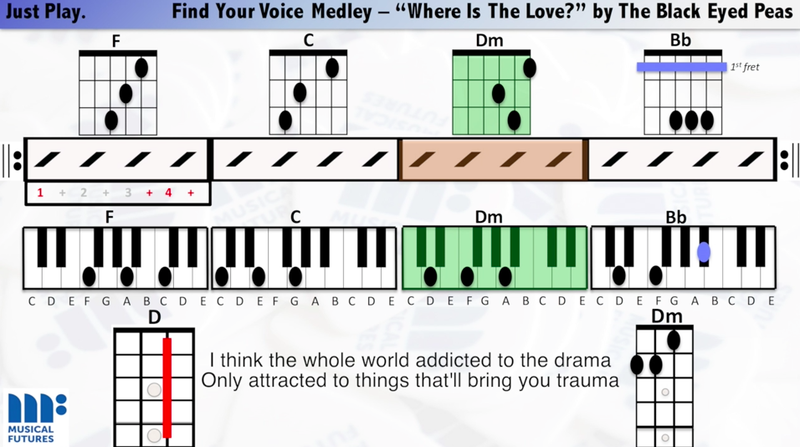 The sample below contains a short excerpt of each song with the full version approximately 5 minutes in length with extended sections of each of the four songs. 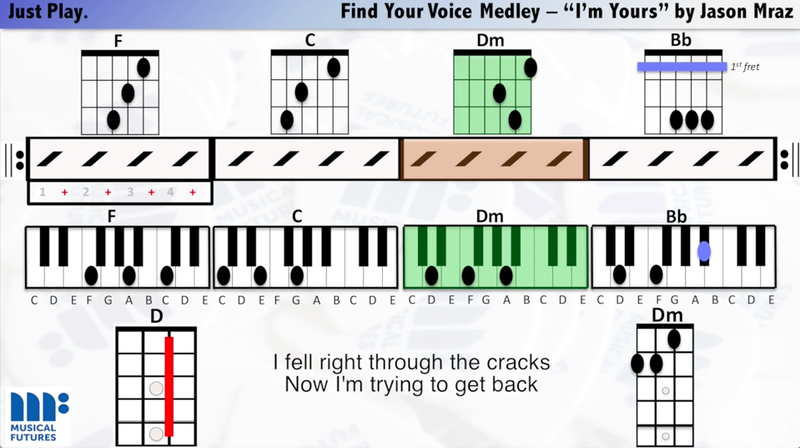 Our Just Play Playalongs are designed as an add-on to existing resources for teachers and schools to make more classroom music together.